Image: cristianoalessandro/iStock Editorial/Getty Images Plus/Getty Images. These are the two Costco truths: They love to go big (really big), and they love cheese as much as you do. The release of these beasts followed the introduction of healthier, cheese-based wraps called Folios Cheese Wraps, which have anywhere from 170 to 180 calories per wrap, zero carbs and are packed with 12 to 14 grams of protein. It’s a balancing act, clearly. This time, though, Costco has truly outdone themselves, launching not one, but two gargantuan cheese products. First up, allow us to introduce to you this enormous, 72-pound Parmesan cheese wheel that’ll set you back nearly $900. As Delish points out, this wheel averages about $12.50 per pound, which isn’t terrible when compared to how much you’d typically spend on smaller portions. 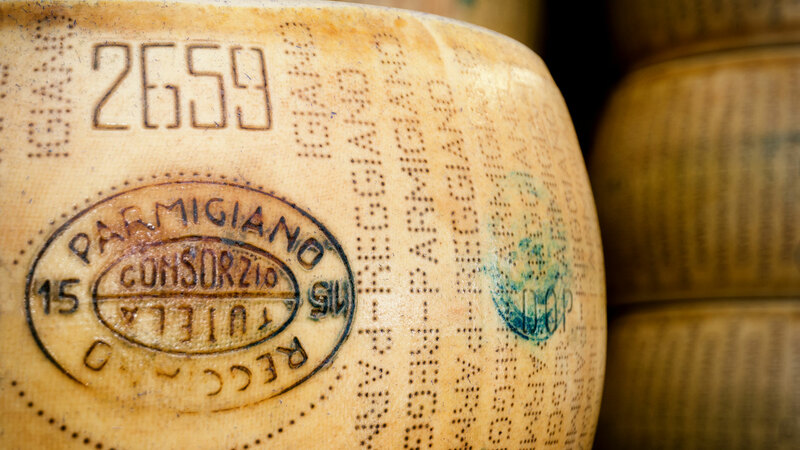 According to the product description, this Italy-imported Parmesan cheese is aged a minimum of 24 months and is made with the “freshest milk from the famous Parma and Reggio Emilio provinces in Italy.” It apparently also pairs well with Montepulciano, pinot grigio, Chianti and merlot. Say no more; we’re sold. And now, the real star of the show: this five-layer wedding cake made entirely of cheese. If the price (nearly $450) scares you, it’s actually not terrible. According to Wedding Wire, most couples spend between $300 and $689 on their wedding cake. Then again, most couples don’t opt for a tiered wedding cake made of cheese. Serving up to 150 people, this wedding “cake” is comprised of 8 pounds of red Leicester, which is similar to an English cheddar; 7 pounds of Danish blue cheese, which has a mild blue cheese flavor; 5 pounds of Murcia al vino, or drunken goat cheese; 3 pounds of Tuscan sheep’s milk cheese; and 17 ounces of Brillat-Savarin triple-cream Brie from the Normandy region of France. The couple who loves cheese together stays together, we guess.